These terms and conditions (“this agreement”) set out your rights and obligations in connection with any and all payments rendered to Fundamental Firearm Management, Inc. and/or its subsidiaries. All of the terms contained in this agreement are legally binding, so please read them carefully. a. There will be no refunds on any deposit rendered for any course Fundamental Firearm Management, Inc. and/or its subsidiaries provide. b. Client agrees to hold harmless Fundamental Firearm Management, Inc., its attorneys, insurers, officers, directors, stockholders, agents, servants, representatives, contractors, employees, successors, predecessors, assigns, parents, affiliates, and subsidiaries, whether named herein or not, from any claims, demands, controversies, actions, or causes relating to or arising out of our processing, handling, and/or conducting Client’s training session(s) scheduled or unscheduled, or any disputes related to Client’s training sessions, whether known or unknown, as of the date of deposit rendered to Company by Client for said course. c. If you have an emergency, you may request, in writing, within 10 days of said missed course, a credit toward a future course. We reserve the right to review your request for a credit, and to approve or deny your request. You will be notified of our express written decision via USPS Certified Mail. 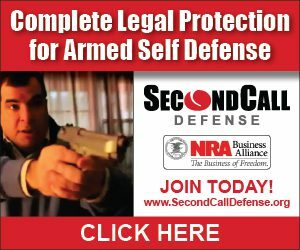 d. Fundamental Firearm Management, Inc. reserves the right to cancel and reschedule any course due to an insufficient number of registered clients; notwithstanding, our no refund policy still applies. Client understands that the schedule is subject to change without notice. e. ALTHOUGH WE MAKE EVERY REASONABLE EFFORT TO INFORM CLIENTS OF A CANCELLATION, THERE MAY BE CERTAIN EXCEPTIONS. IT IS THE ULTIMATE RESPONSIBILITY OF THE CLIENT TO CALL US AT 540-370-8880 TO ENSURE A CLASS HAS NOT BEEN CANCELLED OR RESCHEDULED. f. An administrative fee not to exceed fifty dollars may apply to certain training courses. The fee may include payment for the processing of your paperwork and/or, for liability purposes, conducting a verification check on the information submitted by you to us. a. Client understands there may be a one-time additional range fee for any and all live-fire training, including, but not limited to: Basic Pistol, Basic Shotgun, Basic Rifle, Tactical Rifle, Defensive Pistol, NRA Instructor, Group, One-on-One, and Personal Protection. b. Said client will be informed if any additional fees will be incurred; furthermore, client agrees to pay any and all fees prior to training. Range fees typically average twenty-five dollars; although, in certain circumstances, could be more or less. a. All security work requiring mobility shall be billed at a rate not to exceed sixty cents ($0.60) per mile. b. All retainers shall be paid in advance and are NON-REFUNDABLE. c. If a plan is purchased that includes a mileage allotment, no refunds will be given for any “unused” portion of said allotment. d. All hourly rates and plan pricing is the price per investigator/officer, subject to change. Please refer to your Contract for details. a. For some investigative services, even if no usable information is found, a “no-hit fee” may be charged; most flat-rate searches carry said fee. No hit fees apply when we are unable to obtain any useful information. In such event, we will charge a “no-hit fee” for our attempt to obtain the information requested; we will refund you the difference. c. “No-hit fees” shall not exceed twenty-five dollars ($25.00) per search. a. 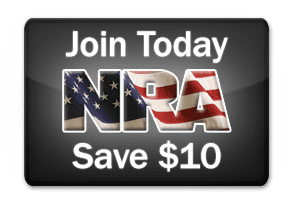 Any fee paid to Fundamental Firearm Management, Inc. in connection with a background check is NON-REFUNDABLE. b. NO EXCEPTIONS will be made to our NO REFUND policy regarding any and all background investigations.